We saw the popularity of our Iced Coffee review and wanted to create something even bigger and better. We learnt that a true roundup can only be accomplished if everything is reviewed in one sitting. 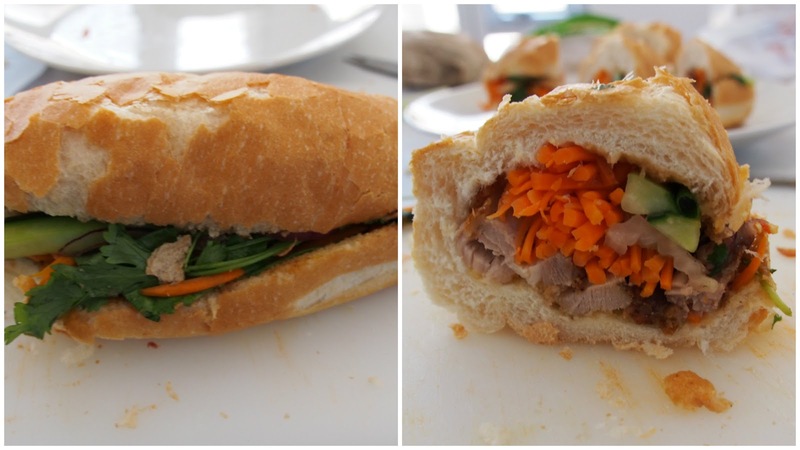 We picked a weekend where all of us (Hayes, Mirko, Jess and Nathan from the Chopping Board, along with Camellia from http://furikakeme.net/) were free and used GoogleMaps to help create our journey to find Adelaide's best suburban Banh Mi. 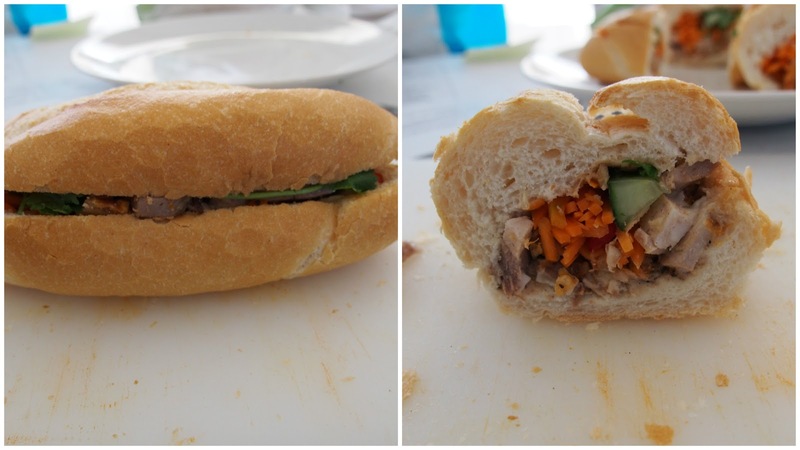 Our goal was simple, to find the best tasting Roast Pork Banh Mi in suburban Adelaide by ordering the exact same roll from each shop "Roast Pork Banh Mi with all veggies, pate and chili". Based on our research, we identified over 35 stores outside of the CBD. We narrowed this down to 27 by calling each store to see if they were open on the Saturday we picked for this roundup. To achieve our goal, we would review all 27 suburban locations in one sitting by blind tasting and using a scorecard with points based on bread (5 points for look, feel, taste, texture, crunch, etc), the filling (5 points for freshness, pork crackling and taste, vegetables, etc) and finally overall taste (10 points for overall taste of the Banh Mi). Combine these and you have an final score out of 20. 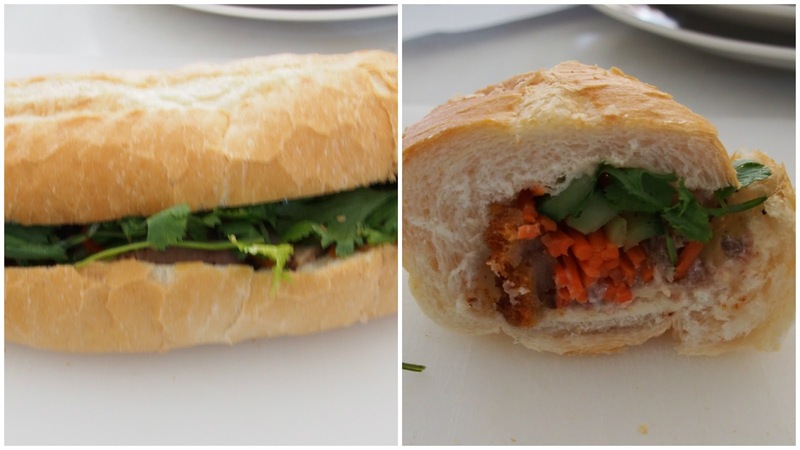 The price for each Banh Mi is noted, but only provides a subjective rating for our readers. The blind test was conducted by Jess' partner Ryan labelling each store with a random number. Our score cards were numbered with rows from 1-27. Only Ryan would know which store he would associate a number to. 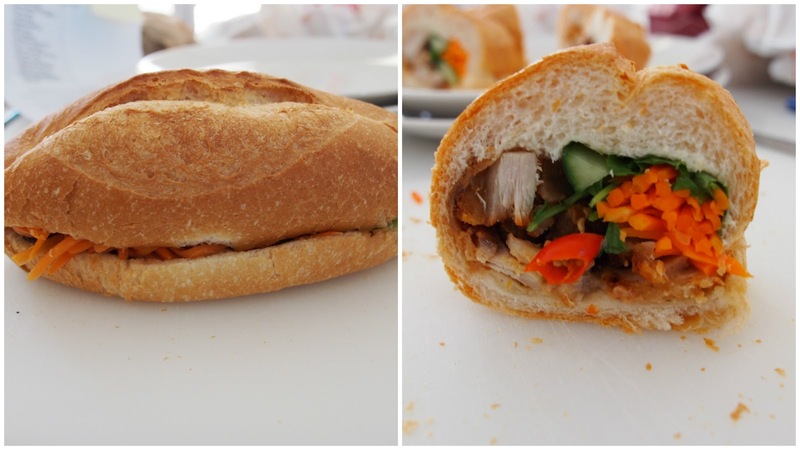 Each Banh Mi was cut into 5 pieces and placed on a plate with a number from 1-27. The scoring of each roll below is an average of our 5 individual scoring sheets. Comments: OK tasting roll, lots of pate, good crackling. The overall taste of the roll was a bit sweet. Good Chili. Comments: Lettuce in a banh mi...... The pork was crunchy. There was little to no coriander and carrot was not evenly distributed. Comments: Overall taste was below average. Very little or no pate, very plain overall taste and dry chewy pork. Comments: The roll had great crackling, but overall was average because of a lack of vegetables. No chili. Comments: This roll was good overall, nothing special. Some areas of the bread was a bit chewy and some were soggy because of the inconsistent pate spread. Nice vegetables and good pork. Lots of onions. Comments: Very good overall tasting roll. Included daikon and cucumber and good pickled carrots. Bread had a very good crunch and the abundance of vegetables made it a great roll. Comments: Very average roll - below average even. Dry meat, tasteless. Maggi seasoning was a bit heavy in some areas. Comments: Loads of crispy pork, enough to feed a family! Quite a lot of fat. Carrot and cucumber was nice. However a bit too much mayonnaise. Comments: Well balanced tasting roll, nice pork, crispy and hot chili. Comments: Too much mayonnaise. Roll looked very good, but overall tasted below average. Crunchy carrot. 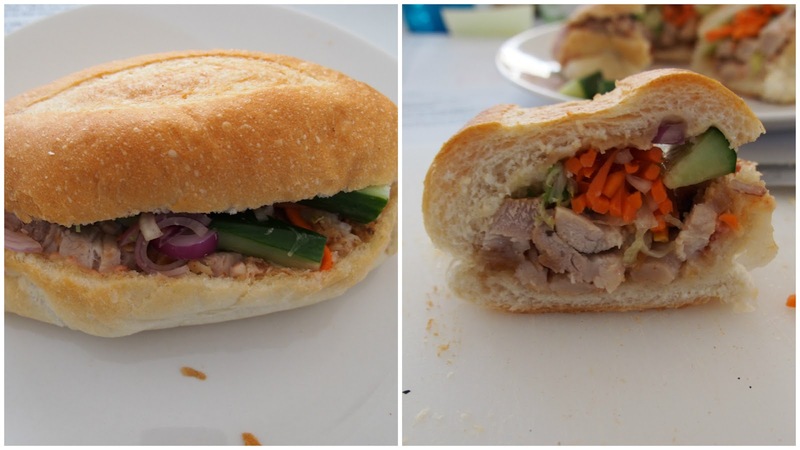 Comments: Average roll, red onions, soft pork, lack of good crackilng and roll was not crunchy. Comments: Average tasting roll. Filling was average - needed a bit more in quantity. Bread was crunchy. Comments: FAIL, just FAIL. NO, just NO..... Tomato? Sesame seeds on the bun? What type of bun is it exactly? Comments: Perfect crackling, great tasting pork. Crunchy bread and overall very very tasty. Comments: Bread was not crunchy, soft and chewy. Weird sweet chili sauce. Average tasting pork. Comments: Crunchy pork, good chili. Seems like a hot-dog roll was used, hence soft and chewy. Comments: Good tasting overall, good bread - crunchy. Average pork - some bits were chewy while some bits were hard and dry. Carrot seemed a bit bland. Comments: Great tasting roll, tasty pate and perfectly pickled vegetables. Crunchy bread and crackling. 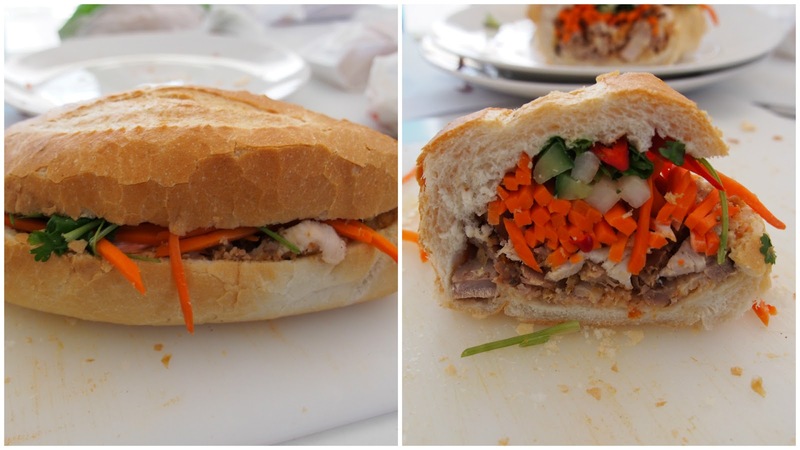 This is what a roast pork banh mi should be. Comments: Good roll. Overall very well balanced. Hot chili, crunchy and tasty fillings. Comments: Tasted like teriyaki chicken. Hot chili, pork was a bit chewy. Found a bit of lettuce in there. Comments: Too much mayonnaise. Everything was bland and no flavour. Soggy bread, chewy and dry pork. Below average. Comments: Very garlicky tasting pate. Good cucumber and carrot. Tasted like garlic bread! Crunchy roll, and good pork. Comments: Bread was a bit chewy. Pork didn't seem fresh at all - hard and chewy with soggy crackling. Pate/mayo was too sweet. Comments: Too much carrot. Seemed like they threw in mint in this roll. Weird overall taste. Comments: Good overall. Fatty pork with good crackling. Nice Carrot, soggy bread in a few areas. Some of the pork was chewy. Comments: This roll tasted a bit like fish - possibly fish sauce or pork marinated differently. Cucumber was cut flat rather than jullienne which resulted in uneven cucumber bites. Comments: Lots of fat, good crackling, lots of sauce which made the bread soggy. Bread: score is out of 5, determined by the crunchiness, look and taste of the bread itself. Total: Sum of all scores out of 20. 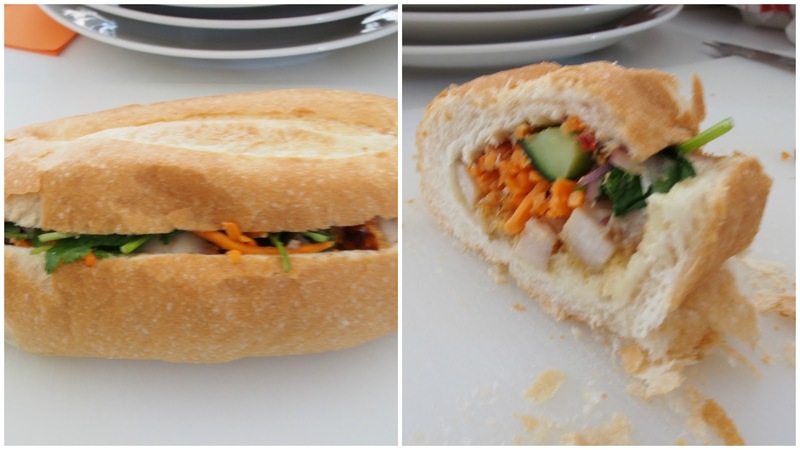 It was a surprise to all of us when Tay Do, Roll in Saigon and Banh Mi Thit didn't appear in the top 3. These 3 places have been praised by many (including us) as being Adelaide's best suburban rolls for many years. 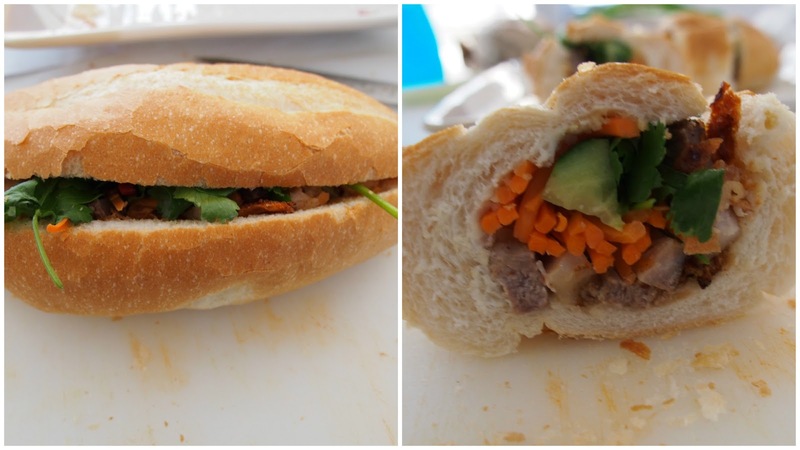 They seemed to fit into the 'average' tasting category when placed side by side with all 27 Banh Mi. As you can see from the table, a total score between 10-15 meant average tasting rolls, which was basically the majority of this round up. At the end of the day the feedback from all 5 of us all agreed the top 3 from our round up were clear winners in each category, each having crunchy and great looking bread, fillings were plentiful and tasty, and pork cracking was fresh and crunchy. 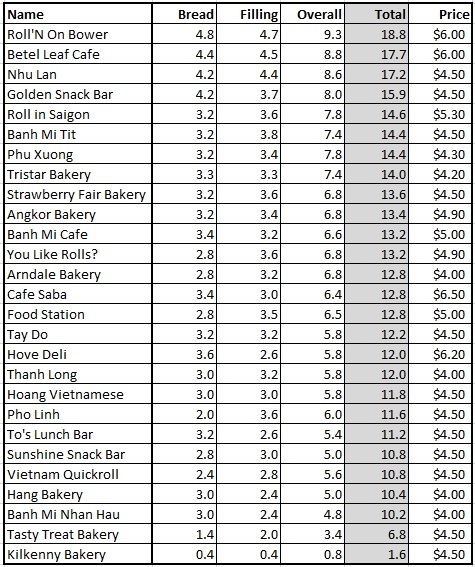 There you have it, Roll'n On Bower, Betel Leaf Cafe and Nhu Lan win hands down as the top 3 suburban Banh Mi in Adelaide. Let us know what you think readers, we'd love to hear your thoughts. 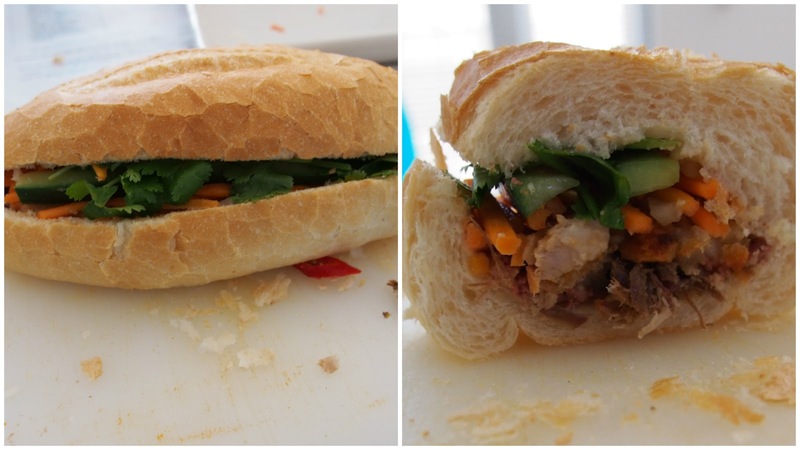 What we'd also like to hear are your thoughts on the best Banh Mi in the Adelaide CBD, as we will be following this roundup with that review very soon! Roll'n on Bower is great. For the city, I think Miss Mai is still the best. Bread was fresh, even had that Pate stuff that people rarely put into it..
also their orange/poppyseed muffins = awesome! Hmmm, no Convenience on Daws (Daw Park) ?? 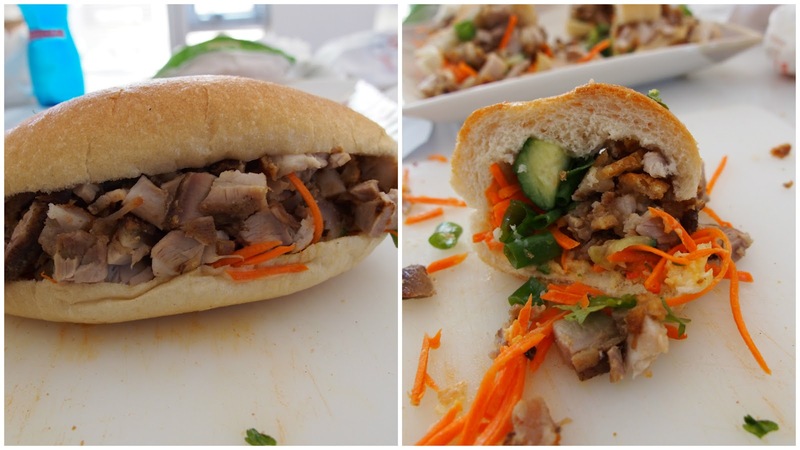 My fav roast pork roll is at Anh's Snack Bar on Findon Rd - they separate the crackle from the meat! Their cold rolls are pretty good too. 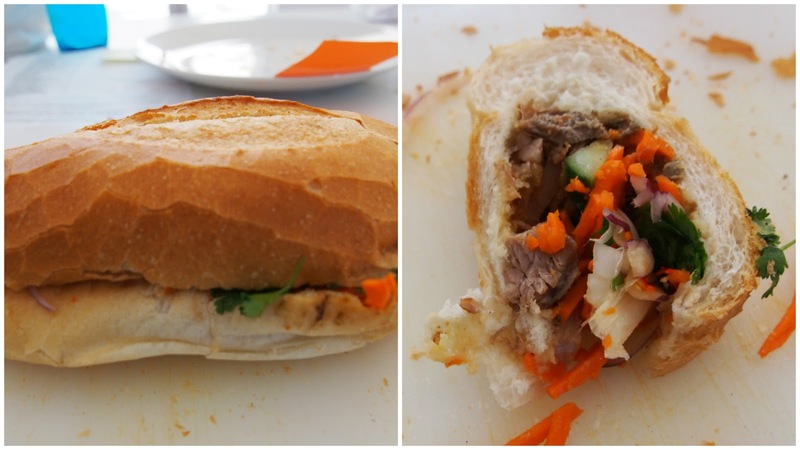 Tay Do - I love their "cold meat" roll over their roast pork roll but have noticed their portions getting smaller. Nhu Lan - their rolls are too fatty for my liking but I like their pickled radish. Great job on the blind testing, looking forward to trying some from your list! 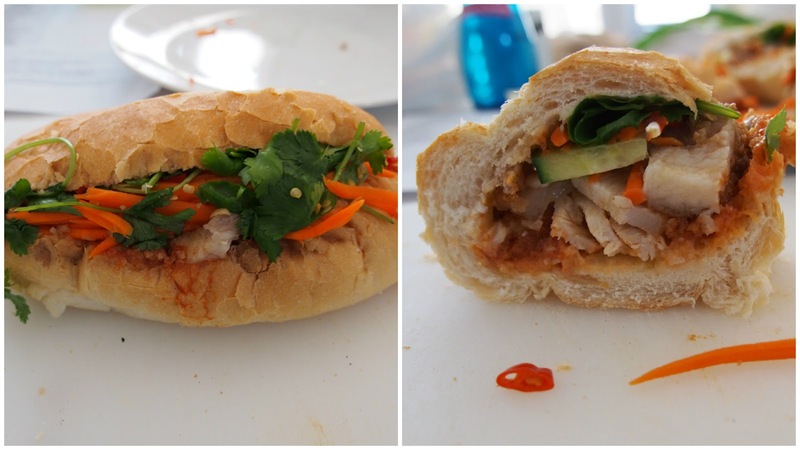 Anh's is great, definitely try them out! Nhu lan is my favorite but you guys should try soonta at James place or the rundle place food court in the cbd. Viet Nam Asian Food Bar just off of Days Road at Croydon Park is fantastic! Makes it hard to stop sounding like a wanker, 'best i've had outside of Ho Chi Minh City' etc. The weekday lunch crowd is often lining up outside of the door. Open til they run out on Saturdays. North Haven Bakery is my fave at the moment. Had Tay Do the other day, still in my top 3, it was my first though. You never beat your first. Thanks for this! Where do you reckon Soonta stacks up in this survey? It would be great if you could include the suburbs for each of these, I've no idea if any of them are anywhere near me. I am a regular at Betel Leaf Cafe, rolls are fantastic, the rest of menu is great too. 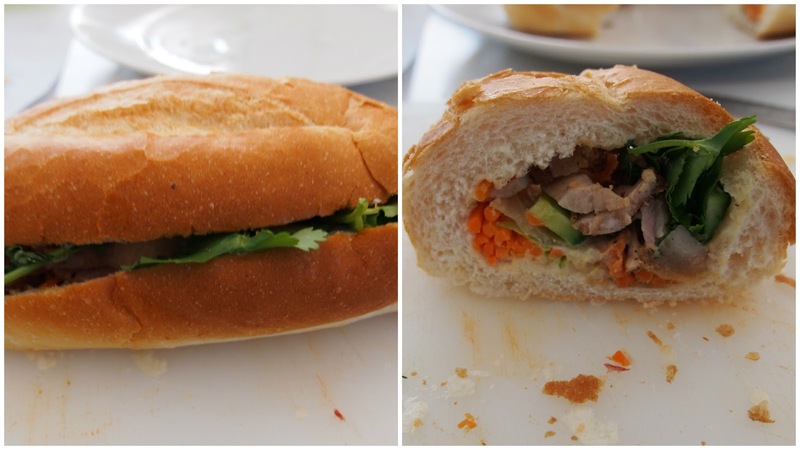 My mum introduced me to Que Huong cafe (Ridley Grove, Ferryden Pk) recently. It's definitely worth a try!! WHY DID YOU TELL EVERYONE?! NOW EVERYONE WILL GO THERE AND THERE WILL BE NONE FOR ME. THAT IS MY SHOP, NOT YOURS. Golden snack bar! Great people as well as great Rolls. 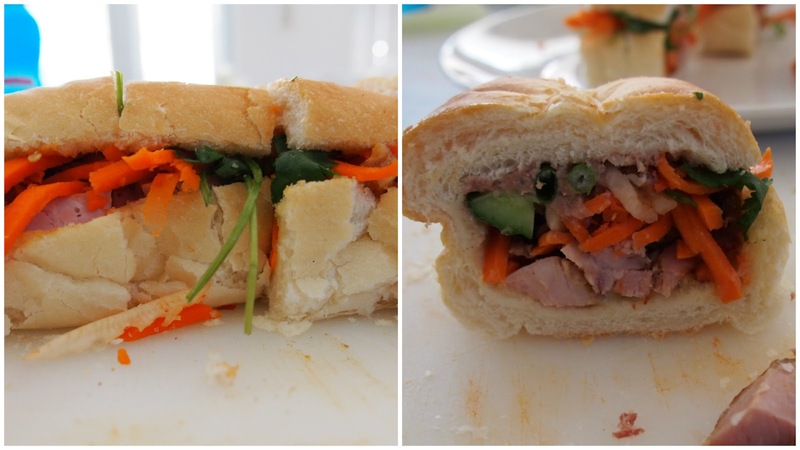 Banh mi are supposed to be eaten almost immediate for full flavor and taste. This review is flawed given the time taken to go around and collect the banh mi even if you guys split up and went separate ways. 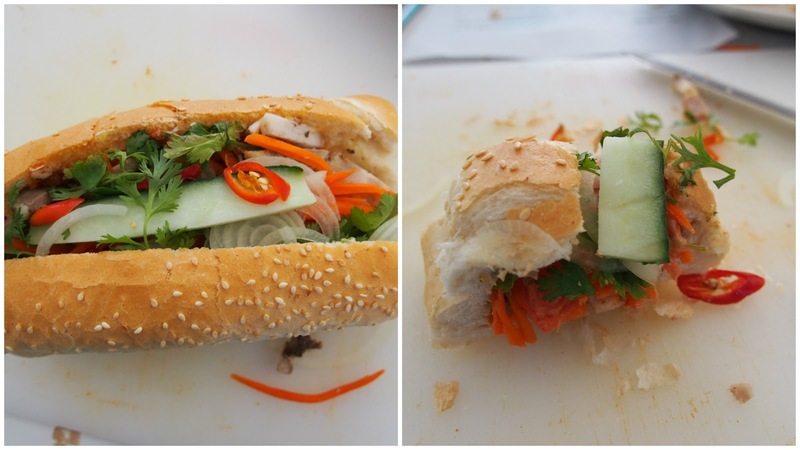 How long after ordering the first banh mi was it eaten and judged? Having said that, still a good review and keep up the good work. 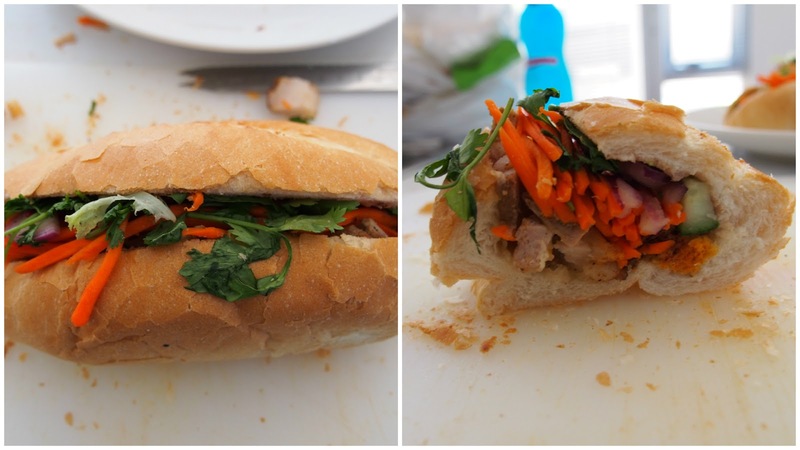 Thanks for your comment - we totally understand about these conditional factors that may affect the quality of the Banh Mi and were part of our planning process. We carefully planned each route to have a 1 hr drive back to home base with cooler bags, and all rolls were cut within 15 minutes. Our test was complete within 1 hour. 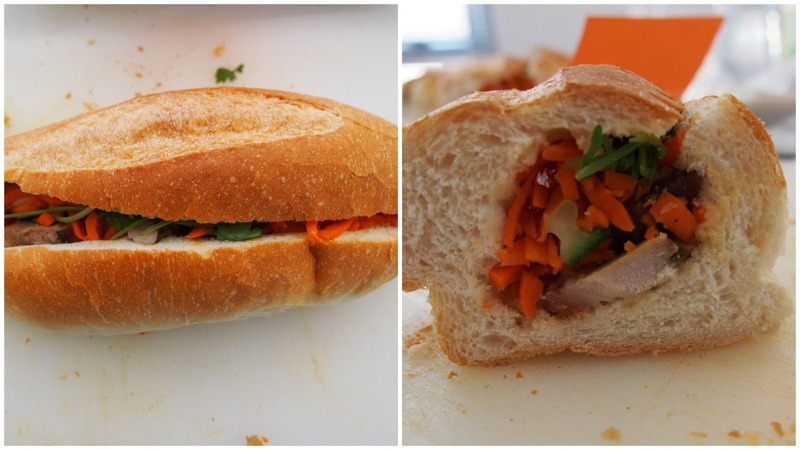 If you're near the Banh Mi Cafe again anytime soon, grab the Lemongrass Tofu one. That's the true star on their menu for me, and I've sampled the lot of them. 2. You cut it into five pieces..everyone knows the top & bottom of the rolls taste like crap & doesnt have the full ingredients so how can that be judged? 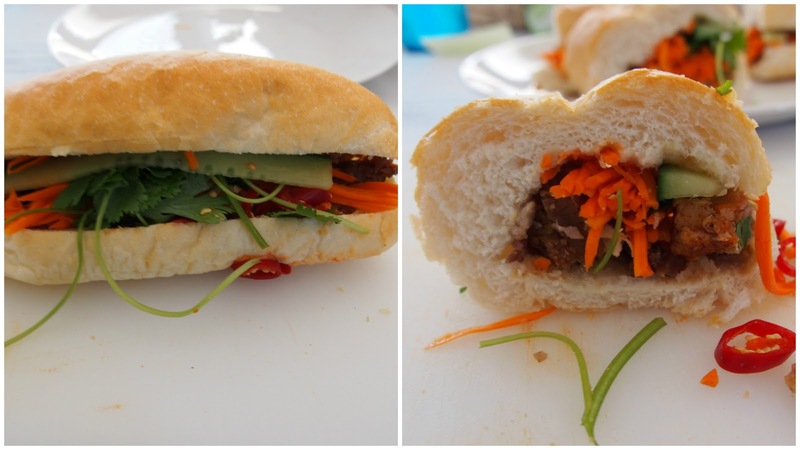 Thanks for taking time to read and comment, in response I'm guessing you are indicating that none of these Banh Mi in Adelaide taste like Vietnamese BBQ pork rolls? 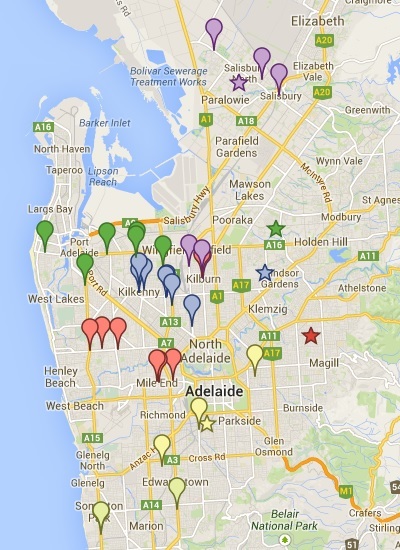 This roundup was to identify the best in Adelaide, I think this was achieved. For the CBD, Soonta is the best by far. Oriental Express (or Yum Yum Asian or Tin Tin depends which sign you read) at Castle Plaza Edwardstown still KILLS all of the ones listed - get on it! Yum yum asian - average. Golden snack bar nearby is on another level to it. Just had one and the crackling is excellent. Carrot could be more pickled, but had good pate and meat to veg ratio. Can't wait for the CBD reviews. Soonta is the one everyone talks about. YUM YUM ASIAN, CASTLE PLAZA. OM NOM NOM COMBINATION ROLLS. ..They are yum yum to eat and only $5. 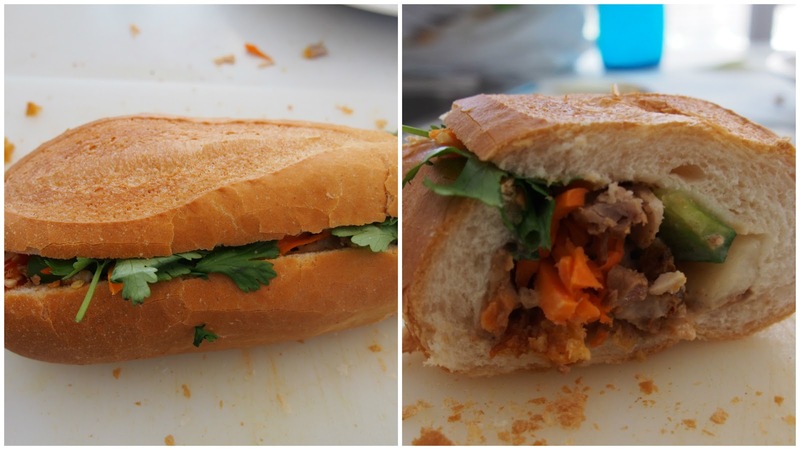 Wow, these banh mi look amazing! Thanks for giving us your review, now i know where to get my banh mi from but i was just wondering when was the survey conducted? 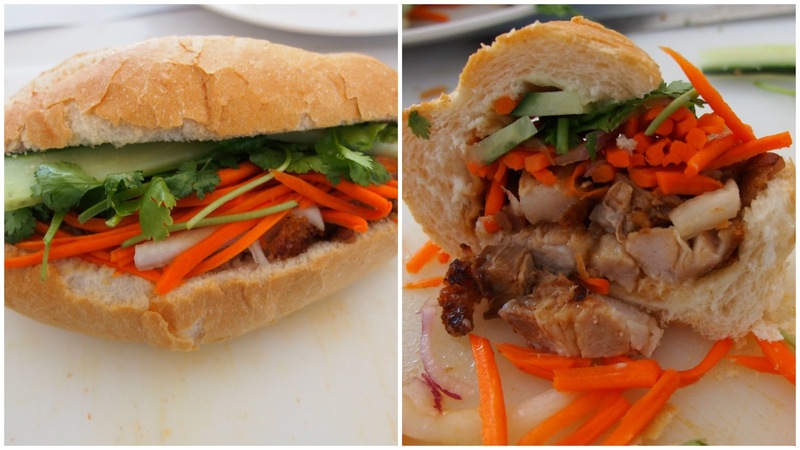 I just tried the Soonta roast pork roll in James place. There was no meat pate so the mayonaisse dominated and the chili they used was pickled. 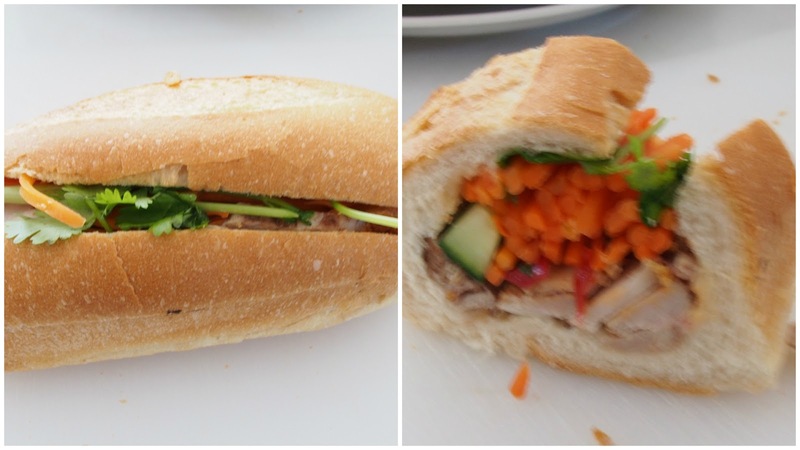 There wasnt a lot of veges in the roll compared to the place across the road but the pork was very nice. Good flavours and it tasted like it was fresh and not prepared a day or two earlier. This is the only place Ive seen where they have wholemeal rolls on offer so a welcome change. Great article. 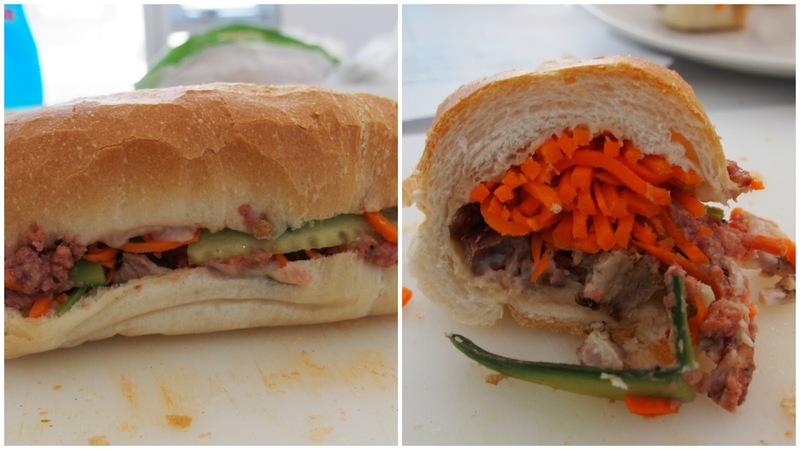 Interesting you said Roll In Saigon's carrot was bland. I thought the same last week, but a fortnight before it was much more pickle-y. The pickled daikon is fab, though. Any chance of a best laksa taste test? Great review. Where did you get that Google map from? Very handy. You actually lost all credibility giving Hang's a 10.4/20. Very surprised Hang Bakery got such a low rating. Maybe you got a bad one. I find them very tasty, with nice veggies, good amount of coriander and chilli. The bread is also always fresh and crispy. Very hard to order just one. 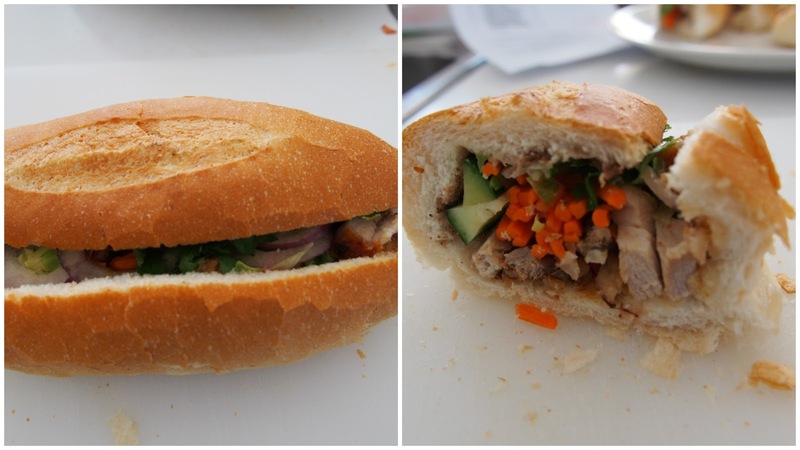 FULLARTON BAKEHOUSE HAS THE BEST BANH MI. WE TRAVELLED FOR 25 MINUTES TO TRY ROLL'N BUT AM AFRAID TO SAY IT DID NOT STACK UP AGAINST FULLARTON ROAD BAKEHOUSE @ 1/383 FULLARTON RD FULLARTON SA. TRY THEM...AM SURE YOU WILL RATE THEM A 20/20! 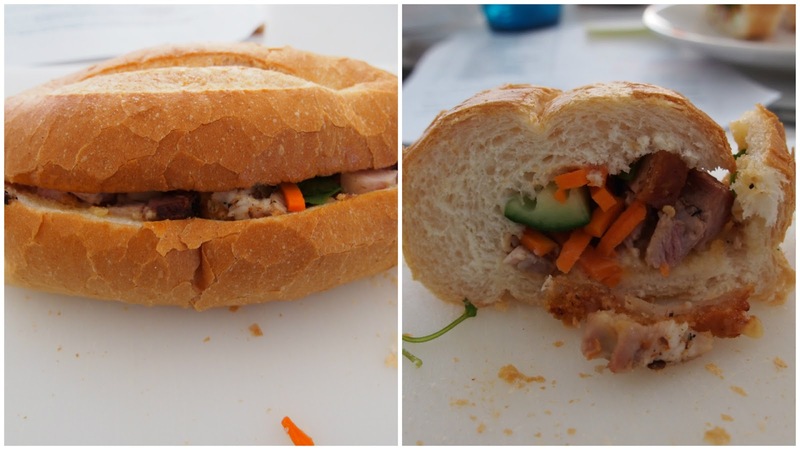 Im a bit surprised when To's lunch bar got that low position, I found their rolls very nice, veggies tasty, the pork very nice and cracking. When is the CBD review coming? I'm hanging out for it as a new resident to SA and working in the CBD, I've really not got much of a clue what's good and what's not just yet! 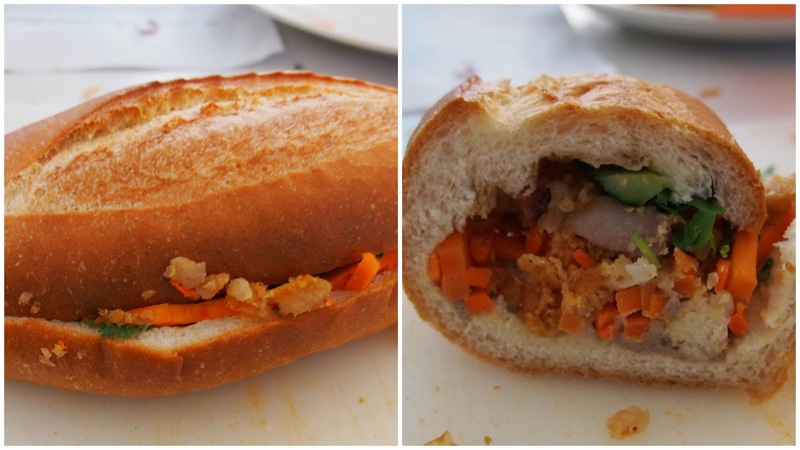 I have tried many rolls in area and Que Huong Cafe is by far the best . I have combination roll. Tough area for competition and it smashes it. You missed Two of the best in Toms Deli and K's snack bar! No point doing a ratings system if your going to miss two of the top shops!!! 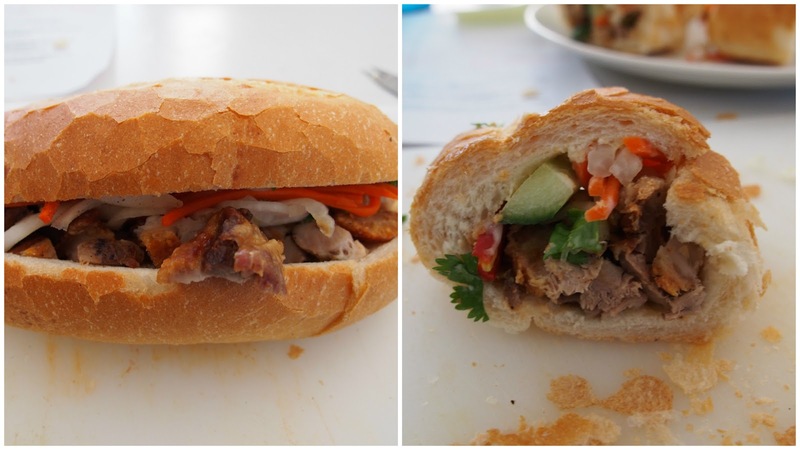 After reading this review, a work mate and myself immediately went down to Roll'n on Bower to try the pork rolls out, as we are Bahn Mi enthusiasts. 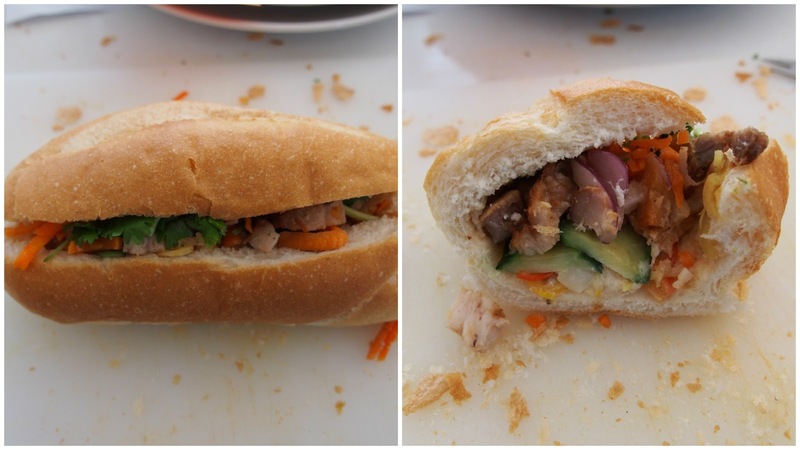 We often go to HOANG bakery on tapley hills road as it's right beside our work, but this morning we decided to venture out and try Roll'n Bower as HOANG bakery lets us down every time we go there due to its inconsistency and the lack of meat they put in the meat rolls. What about Hewett country bakery? Was there a reason that Sunshine on Churchill road and the Frewville Bakery were missed ? I'm trying Roll in Saigon next week. I do like Hang Bakery with extra meat added! Miss Mai has moved to 73 Gawler Place, Adelaide 5000. Same chef and with an expanded menu that includes fried and steamed rice ! Thanks for all your support over the last year ! Our shop is closed for Christmas and new year and will reopen on Tuesday 3rd January. Our shop at 9a James Place has permanently closed. Miss Mai brings authentic Vietnamese food to the lunch table. Our chef grew up in Vietnam and brings her simple, yet refined palate of Vietnamese / French Colonial fusion food for your enjoyment. Our shop is small and seating is limited, so during busy times (esp. midday through 2pm) food will need to be taken away. Happy Bakery - 337 Whites Rd, Paralowie SA 5108. Great Meat Rolls and even better Cold Rolls / Dipping sauce is awesome - IMHO. E'nuf Burger Bar - Surprisingly more than E'nuf. Froth & Fodder - fairly fabulous. Quick Chop - Cow & Co: Froyo? FRO-YES!